Turner Asia Pacific brands Warner TV and Oh!K have started the new year in pole position after dominating ratings in December. The sterling performance comes off the back of multiple programming and marketing stunts that were developed for the festive period. In Singapore and the Philippines, Warner TV was #1 among English GE channels on January 1st 2019, for both pay-TV young adults 25-44 and 4+ during all time and primetime 7-11pm; and #1 among English GE channels on January 1 for both Cable young adults 25-44 and 2+ during all time and primetime in Mega Manila, respectively. 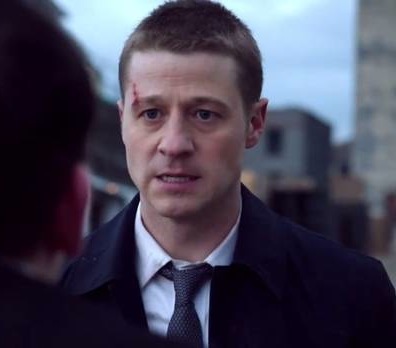 In Q4, Warner TV welcomed back a host of well-loved returning shows such as Gotham (pictured), Lethal Weapon, The Big Bang Theory and DC’s Legends of Tomorrow. Whiskey Cavalier will the latest drama to debut on the channel in late February, and stars Scott Foley and Lauren Cohan (Walking Dead). Oh!K was also #1 among Korean GE channels in Singapore on January 1st for both Pay TV F25-64 and 4+ during primetime. All time average ratings of Warner TV was 64% higher than the nearest competitor channel. Primetime average ratings of Warner TV was 81% higher than the nearest competitor channel. Top Warner TV programmes in December included: The Big Bang Theory, Young Sheldon, Lethal Weapon and iZombie. In the same month, Warner TV also dominated English GE channel ratings amongst Cable 25-44 in Mega Manila during all time and primetime 7-11pm. All time average ratings of Warner TV was 38 per cent higher than the nearest competitor channel among Cable 25-44 in Mega Manila in December. December also saw the Oh!K channel being the No. 1 Korean GE channel among Pay TV F25-64 on weekday primetime 7-11pm in Singapore.